I am well into my first brisket smoke. Ive been learning a lot so far, but i am not confident this one will turn out so great. 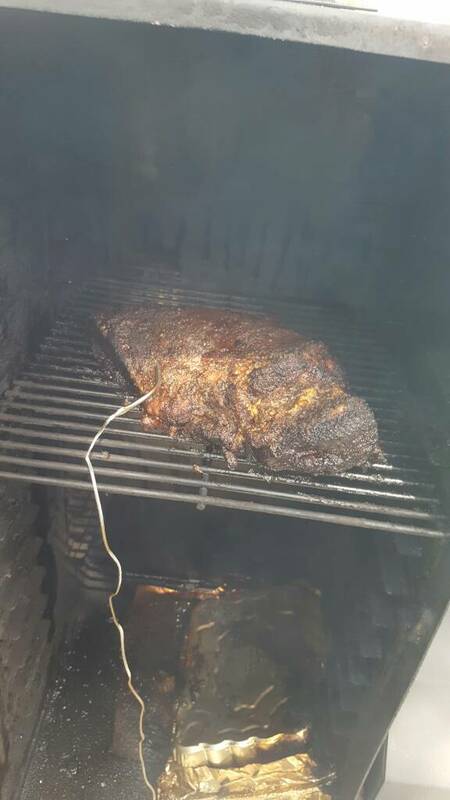 Im smoking a 6.5 pounder and its been on for just about five hours with the temp ranging from 180 to 250. I am trying hard to hit the 220-250 range, and after being five hours in i better understand how to maintain the temp. I just checked the meat and its somehow at 187 degrees and quite tough yet. From what i have read, that doesnt even sound right. Thermometer placement might be poor. I am going to continue take it out when it hits 203. Debating on trying the texas crutch to keep it moist. Ill let you know how it turns out! Im having a blast. Last edited by CaptJack on Sat Jul 09, 2016 12:25 pm, edited 1 time in total. Thanks thats great info. Its been 6 hours at ~200 degrees. The flat is very tough still. But its temp is now 205. Im taking a risk but im going to just keep it cookin. From what i can tell people smoke brisket at a higher temp and for longer, so in theory i have time left on the cook. We will see! I chose not to wrap it. For my first cook i dont want to add that variable. 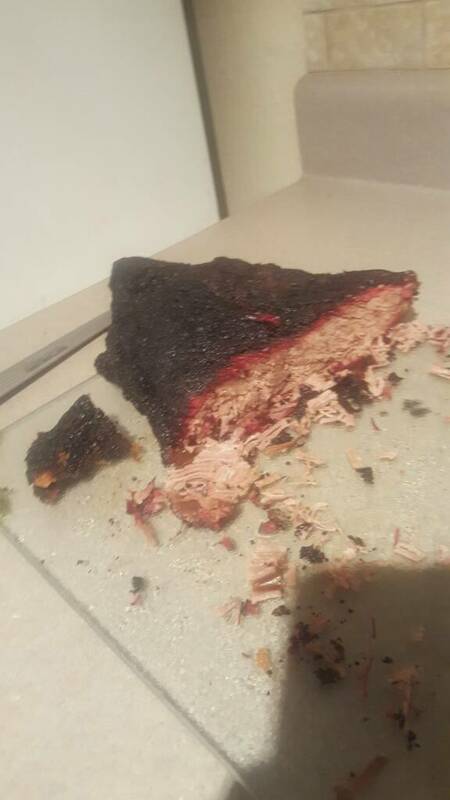 Re: RE: Re: First brisket smoke! Thats good to know. I was wondering if i somehow over cooked it so it became firm. Now i know it SHOULD become moist. Will keep you posted! Fantastic! I never thought of that. I am starting to feel confident it will turn out okay, but time will tell! Im enjoying every second, besides smokey eyes haha. I believe my biggest problem is not leaving the meat alone. I keep probing and moving it. I grabbed a cold one to help keep my hands busy. Capt jack i appreciate all of what you had to offer! You really calmed me down and as a result i think i made a solid first brisket. This is also my first time ever using a smoker. 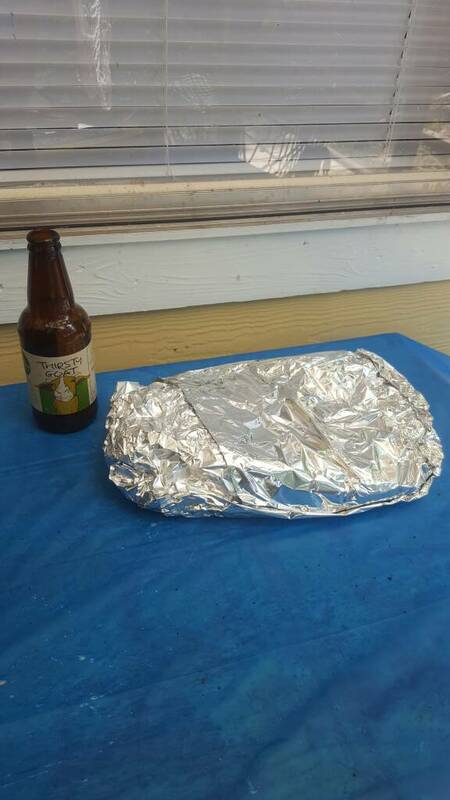 i felt the butter like probe, and now im resting the brisket. What an activity! Cant wait til next weekend.. more photos to come. I actually just ordered it yesterday. I live in austin so his bbq and book are popular. Here it is, theres my brisket! Id rate it a 5/10. Its very dry. The probe moves through it like butter. I have a lot of work and learning to do.. cant wait til next weekend! !